Laura Woodberry married Buddy in 2005, adopting him and his hounds and quickly falling in love with the lifestyle. Today, they have two children and spend as much time as they can together in the woods. Often, you can find Laura out jogging with the hounds, running through the woods and getting the dogs out for exercise. When the kids were first born, Laura enjoyed being a stay-at-home mom but when the youngest started school in 2017, she was happy to join the Double U Team in a more prominent role. Buddy and Laura believe in giving their customers the best. They strive to provide quality service—the type of service they would expect as a customer—and stand behind all of their products. 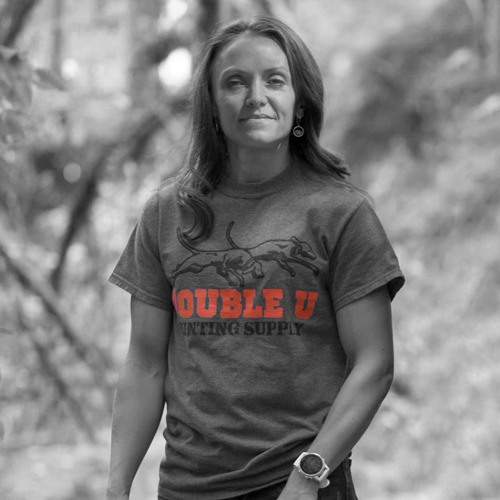 Laura is thankful for the many loyal customers that have supported Double U from the very beginning, and says the company wouldn’t be where it is today otherwise.